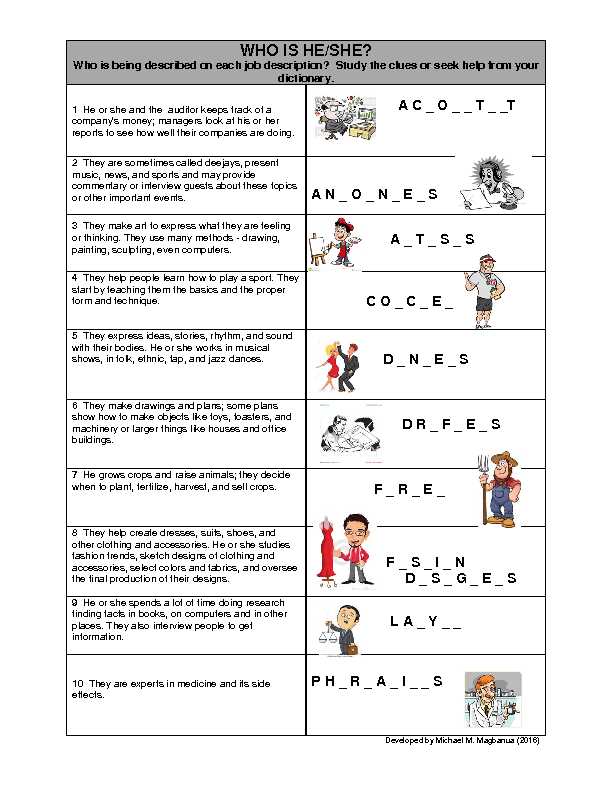 This worksheet is recommended for Elementary level. It features ten jobs known to level 2 students. 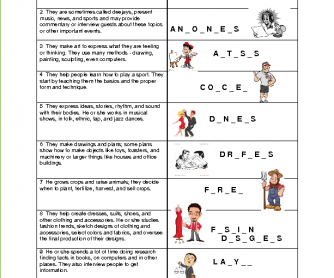 It can be a used as review lesson or simply as an ice breaker for advanced learners. Students got to guess the job description of each job by completing the incomplete name of the job. The clues include incomplete words and appropriate photos.